São Paulo is a forest of skyscrapers and if you are new to the city, it is really easy to get lost as there aren’t many buildings that stand out from each other. One building that does stand out a bit is the Edifício Itália, located at the corner of Avenida Ipiranga and Avenida São Luis near the bustling Praça da República. 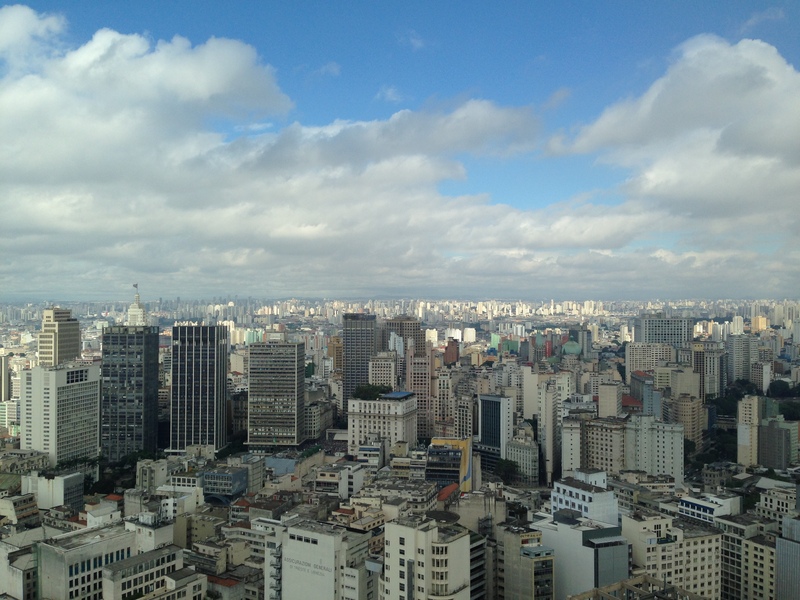 The idea for the building came from an association of Italian immigrants to São Paulo known as the Circolo Italiano. Prior to the building’s construction, the organization’s headquarters sat on the present location of the skyscrpaer in a small mansion (pallazina). The group had occupied this location since 1923. From 1942 to 1950, due to Italy’s involvement with the Axis Powers during World War II, the Brazilian government shut down the Circolo Italiano. The club resumed activities in 1952, but started to make plans to tear the pallazina down and have a skyscraper built on the same site. Builder Otto Meinberg initiated the first building plans and invited architects to compete for the building’s design. Architect Frank Heep was the winner and helped develop the building’s unique curved shape. The Edifício Itália was constructed between 1956 and 1965. 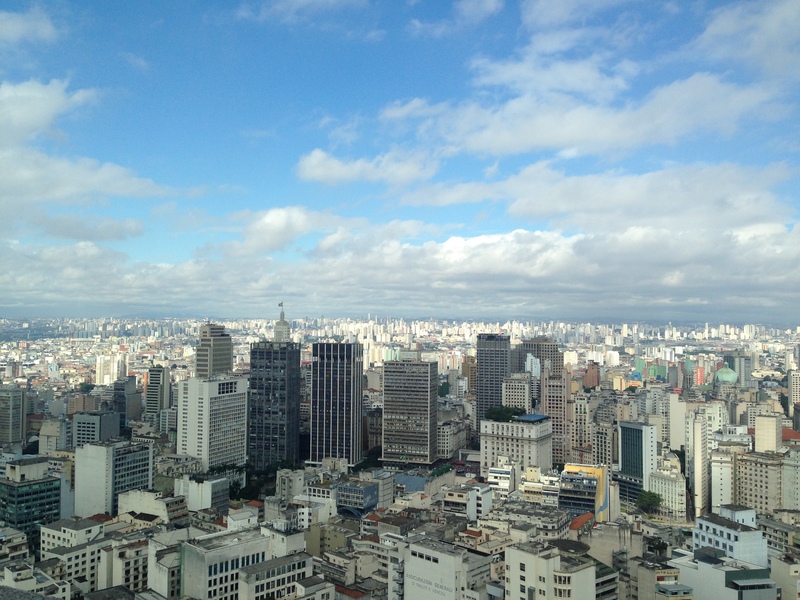 It has 46 stories and stands roughly 550 feet tall, making it the second tallest building in São Paulo. The tallest building is actually the ghastly Mirante do Vale located near the Vale do Anhangabaú. The Edifício Itália is protected and preserved as an example of Brazil’s architectural heritage by the country’s Patrimônio Historico. Today, the Circolo Italiano continues occupy space in the building. At the top of the building is a restaurant called Terraço Itália which offers 360 degree views of the city and, judging from the reviews, mediocre and expensive food. You can admire the views from the viewing platform without paying for the restaurant during a short period of time during the week (3-4 PM, Monday to Friday). I went in the middle of the week with my Airbnb host and another guest. There wasn’t much of a crowd and the views that day were incredible. In every direction, there are skyscrapers as far as the eye can see. 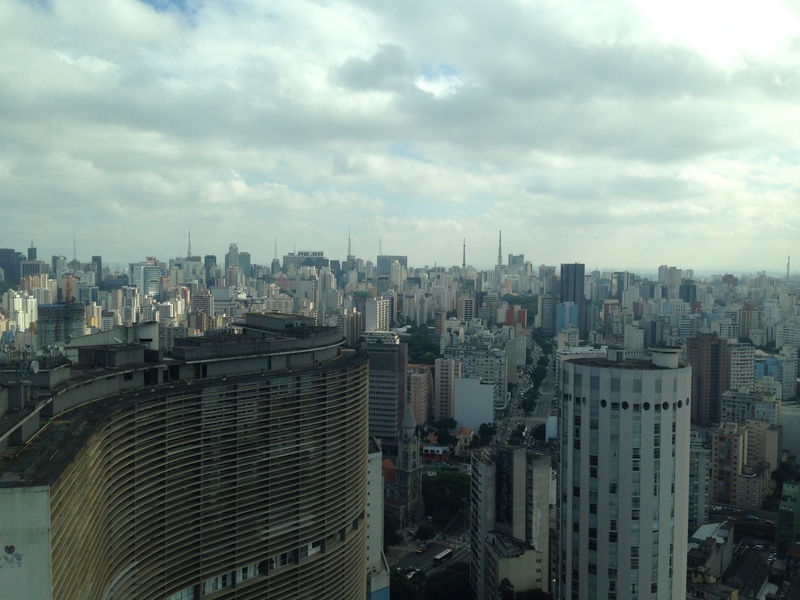 Coming up to the top of this building really gives you a sense of how massive São Paulo really is! If you are new to São Paulo, this is a perfect spot to visit to help you get oriented as to where things are in the city. 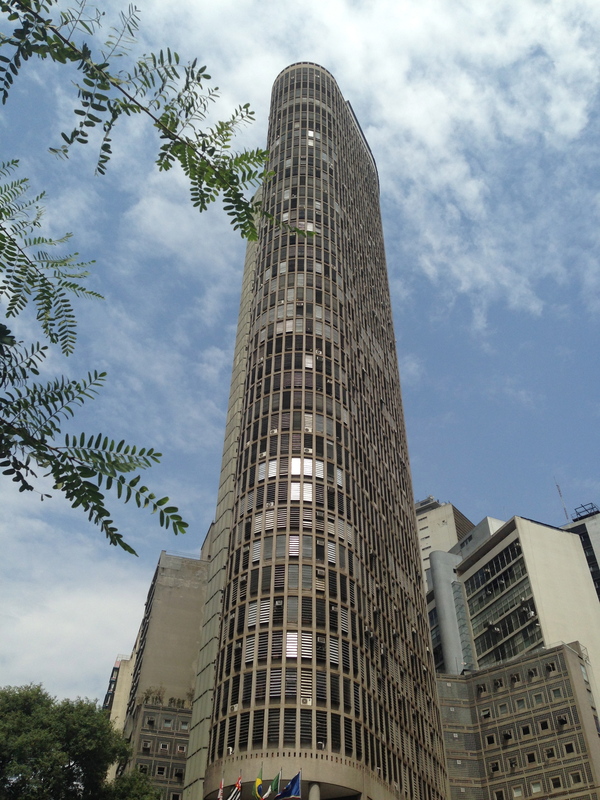 Do some research on the many unique buildings like the Edifício Copan and the Banespa Building (or bring along someone who knows the city) so you can identify them as you admire the view. 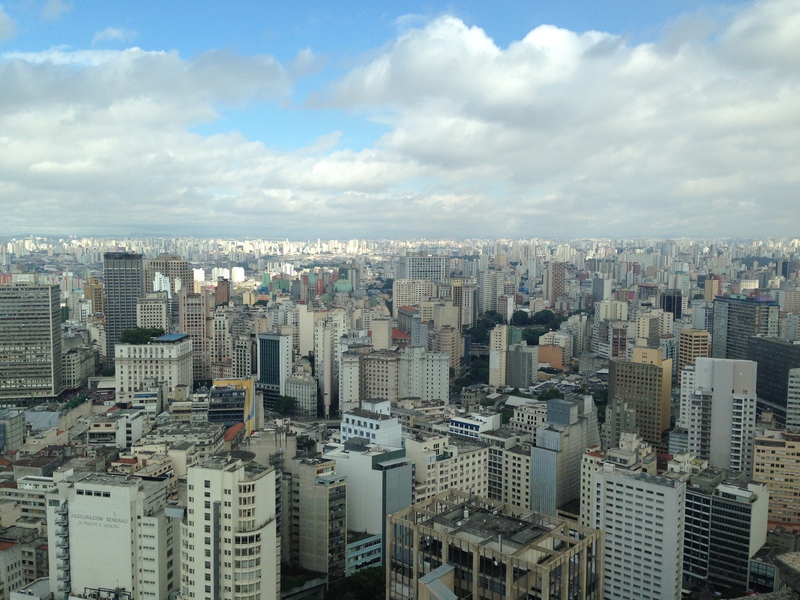 Have you been to São Paulo? What buildings stood out the most to you? Hell, the Netherlands are a f.cking village!!! Should we learn Portuguese?